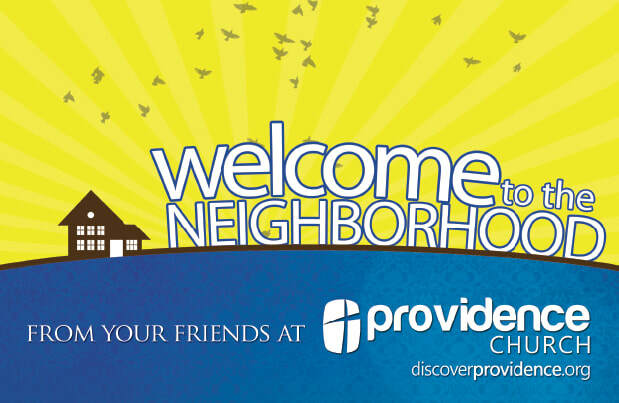 New Mover Direct Mail Postcards for Your Church. 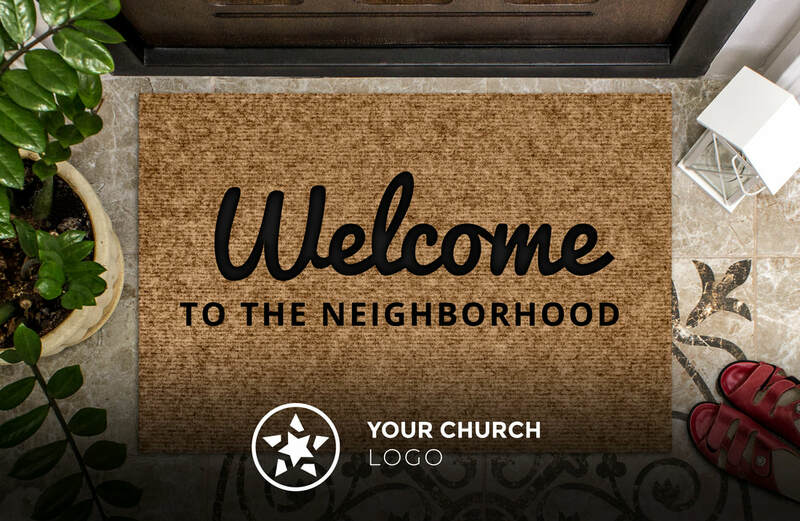 ​Welcome your new neighbors with a truly affordable and automatic way to attract more visitors and grow your church. All creative and printing services are included. 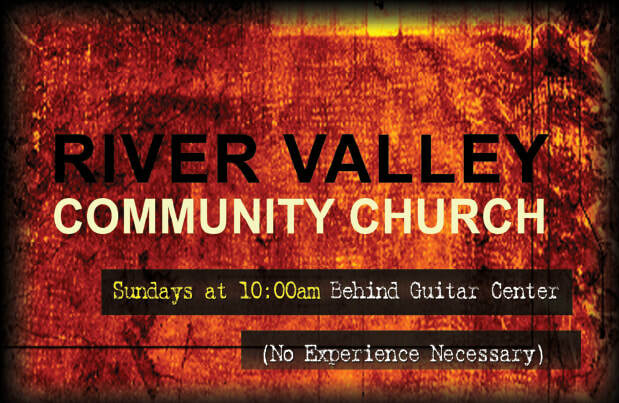 Monthly mailings starting at only $49. Full turnkey and fully automatic. Provide your welcome message and images or we can visit your website and use the information from your site. In a few days, we send you your direct mail postcard and invite you to make changes. 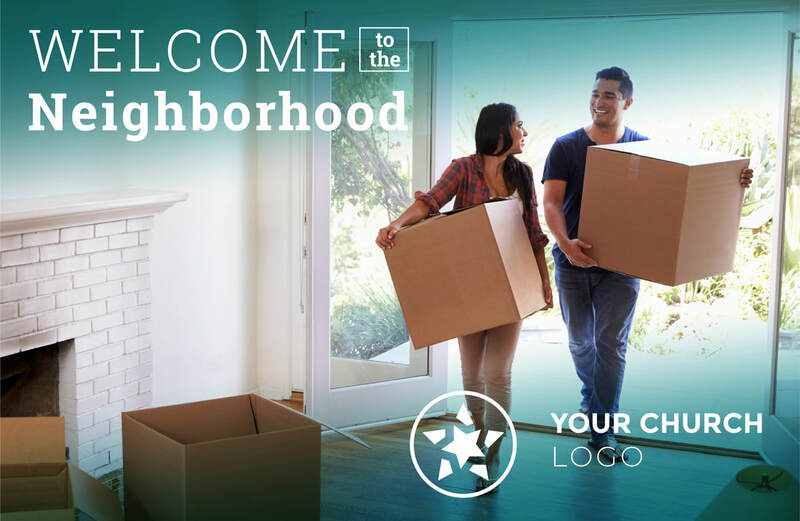 After you approve the card, it's printed and sent to fresh, new families who have recently moved into your community for a low, all inclusive and flat monthly rate. Provide the copy or we can visit your site to get the information we need including logo, images, worship times and welcome message. ​Receive your direct mail postcard within three business days and we'll make any revisions you need. Unlimited creative revisions are included. ​On the 15th of each month, we mail your postcards to new families who have just moved in for a simple flat rate automatically each month. ​Click the button to request a FREE postcard design*. In about three days, we'll send you your free, personalized postcard design. You can then request any revisions or changes (again, no cost). After you approve the card, you choose your monthly mailing quantity and we start mailing your new mover postcards each month to new families who have moved in around your church. We'll design your postcard at no cost and you are welcome to make any number of changes until you are 100% happy with the design. No payment is required until the card is approved and you're ready to start the program. 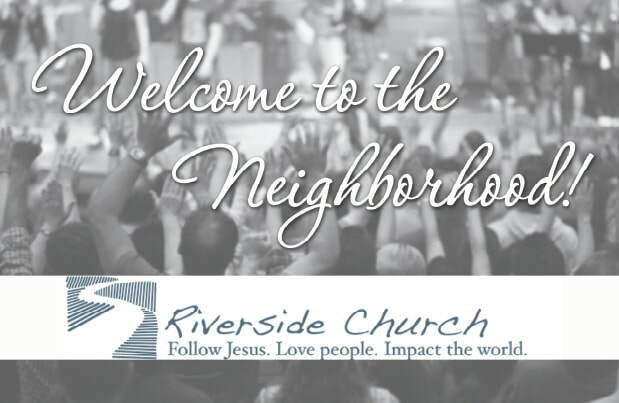 Q: Where are the postcards sent around my church? 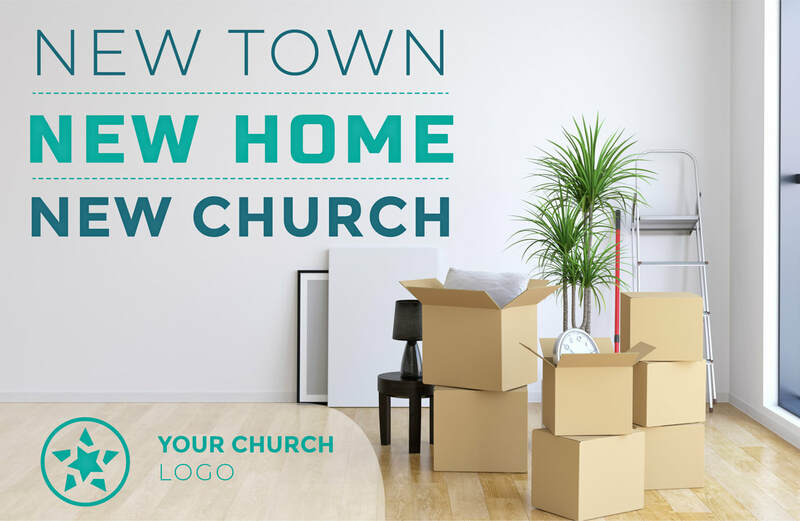 A: We radiate out from your exact church address to reach the desired number of new movers who have moved closest to your church. 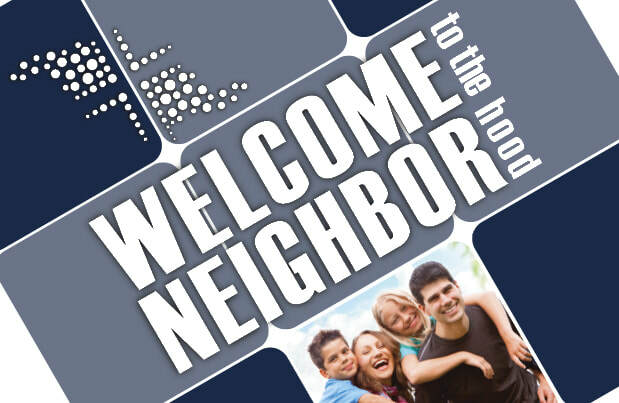 Or, if you prefer we can mail your church welcome cards to specific ZIP codes. (or you can request a custom design for the front too). Q: Can I have a custom design for the front or send finished artwork? A: YES! Select the custom option on the form and we'll send you an email with information on sending us your logo, images or finished artwork (the email will contain a production template to give to your designer). ​We'll visit your website and create your postcard using the information from your site. We'll create a map, include your logo and write the welcome message. You are always welcome to make changes as unlimited revisions are included. Your direct mail postcard is printed in full color on heavy card stock. It's a coated stock with a varnish coating on the front for added impact. Your postcard is printed on a REAL printing press - we do not use low quality digital printers. Our new movers mailing list is updated weekly and considered one of the best in the business. Our list is truly multi-sourced! Data is compiled from credit bureaus, utility companies, magazine subscriber lists and deed registrations. 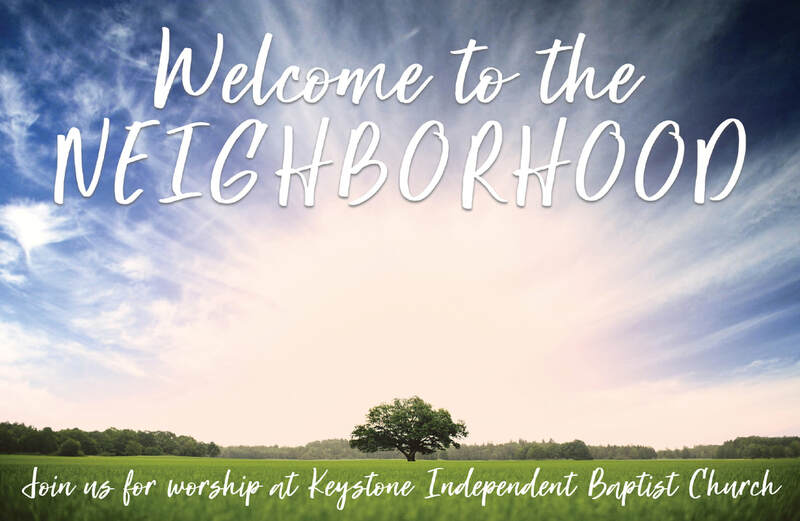 ​Your new mover direct mail postcard is addressed and sent to new families around your church on the 15th of each month. Delivery to the Post Office and Standard postage is all included. We even send you samples of your card after they are printed. You decide how much to spend based on a flat rate for the quantity you select. No set-up or printing fees to worry about. 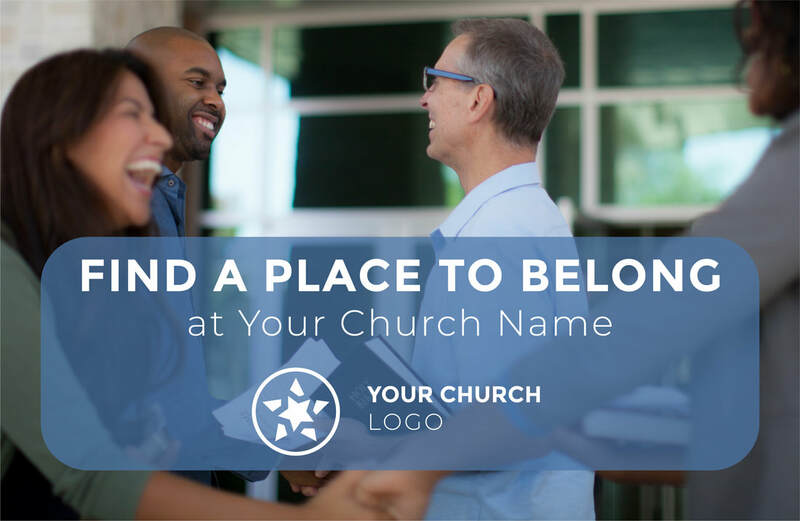 Start as low as $49 a month to reach 50 new families around your church every month. You do not need to sign a contract or have a non-profit mailing permit to get our low flat rate. 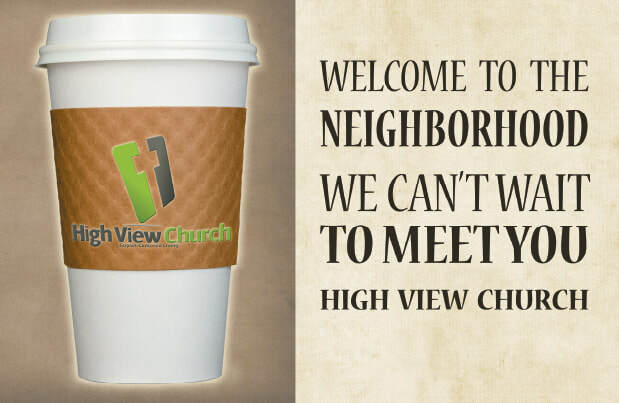 If you do not see a measurable increase in the number of new visitors to your church, you can cancel at any time. Visit Our Work for even more examples of our church postcards. ​Q: Can I get a copy of the new mover mailing list so I know who got my welcome postcard each month? A: YES! We automatically send you a copy of the mailing list each month. Use this for a follow-up mailing, arrange a personal visit or to track your new visitors. ​new movers direct mail outreach program. ​month (but you can cancel at any time). ​You decide how much to spend each month based on your outreach budget. Free set-up, postcard design and printing. Truly non-profit pricing with no surprises.